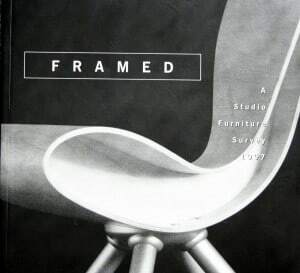 When I began studying furniture-making, our studio master, Donald Lloyd McKinley – known to Australian furniture-makers due to his 1977 residency at the Design Centre of Tasmania – held up a volume from his personal library. He surveyed the classroom from under his bushy eyebrows and said, “If you’re going to be a furniture-maker, you must read this book.” I should state that my enrolment in the program was based solely on several visits to a woodworking shop whose ambience resonated deep within me. I had no experience, was frightened of power tools and the only timber species I recognised was cedar, because of its fragrance. So when Don drew attention to Edward Cooke’s New American Furniture: The Second Generation of Studio Furnituremakers, I read it cover to cover, hoping it would provide inspiration to sustain me through flawed assignments and bandaged fingers. It did, particularly as I became aware of female furniture-makers – if they could do it, I could too. In retrospect, what was equally important was Cooke’s delineation of ‘studio furniture’. His definition, which I will address below, inaugurated my journey to discover whether it applied to New Zealand and, if not, what constituted the practice of one-of-a-kind furniture-making in that country. I began in Nelson, a major timber-growing region. During the late 1980s and 90s, the Nelson-Marlborough Institute of Technology offered a woodworking programme taught by John Shaw whose skills were acquired at Rycotewood, one of England’s reputable furniture schools, and at College of the Redwoods in California run by the renowned James Krenov. NMIT students, therefore, had expert grounding in their craft and, after graduation, congregated in Nelson. The Bishop Suter Gallery staged biennial exhibitions from 1996 to 2004 and I sought out their organiser, Phil Osborne. Osborne proved to be a research bonanza. He had boxes of newspaper clippings, photographs, catalogues and posters and, while reviewing them, created a list of makers prominent in the field. He knew the ones still practicing in Nelson but could not vouch for the whereabouts or occupations of others formerly located on the West Coast of the South Island, in Christchurch and Dunedin, and throughout the North Island. My job was to find them. And my initial scoping trip in 2008 raised issues that determined the direction of the entire project. By 2008 there was no national craft organisation that held files of artist profiles to assist in tracking down makers. Not only did the absence of resources increase the challenge of identifying the extent of studio furniture, it made me wonder: what happened to the Crafts Council of New Zealand, whose existence and connection to furniture-making was evident in Osborne’s archives? My initial task was to look at studio furniture’s context: craft. I started scanning newsletters of what began as the World Crafts Council, New Zealand Chapter, in 1965. Two New Zealand delegates attended the inaugural meeting of the WCC in New York, and when Nan Berkeley returned to Wellington she gathered 30 craft practitioners in her home and created the local branch. The members were primarily weavers and potters. The first mention of woodworkers – a furniture craftsman, three wood carvers, a loom builder and a spinning-wheel maker – appeared in the listing of members in 1971. Ten years later, and now called the Crafts Council of New Zealand Inc. (CCNZ), the organisation had its first furniture-making President, Carin Wilson, whose tenure was significant in several respects. Wilson was a self-taught furniture-maker in Christchurch; he was a founding member of the Canterbury Guild of Woodworkers in 1979 and became the Southern Regional Representative on the Executive of the CCNZ. 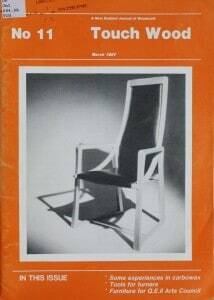 He was the first furniture craftsman to sit on the Executive, bringing attention to the medium. Secondly, when Wilson was elected President in August 1981, the CCNZ was anticipating its second conference. Kevin Perkins, from Tasmania, was a guest at the conference in January 1982; while in New Zealand he gave a lecture in New Plymouth and a workshop in Christchurch. Perkins was the first of several international furniture-makers to visit. Finally, Wilson’s inability to find suitable education to advance his skills prompted a personal mandate for craft education. He obtained a Queen Elizabeth II Arts Council grant to visit craft schools in other parts of the world and his report ultimately reached the Director-General of Education. Subsequently, members of the CCNZ worked with the Department of Education to introduce a Certificate in Craft Design at nine polytechnics starting in February 1986. The CCNZ existed from 1977 to 1992. It was a membership organisation that, at its peak, had over 1400 members. However, it suffered fragmentation from its very beginning: those who sought professional status and supported the CCNZ’s aspirations for standards conflicted with amateur makers who enjoyed the networking and lectures but opposed exclusionary juried exhibitions and honours. Finances were also a concern. The New Zealand government, through various agencies, supported the CCNZ from 1977 to 1991. The final agency, the Queen Elizabeth II Arts Council determined in 1992 that craft should fall under the umbrella of visual arts and withdrew funding for a discrete craft organisation. The Crafts Council of New Zealand was dissolved. In reviewing the history of contemporary craft in CCNZ newsletters and New Zealand Crafts (existed from 1982 to 1992, then as Craft New Zealand until Summer 1993), information and articles testified to increasing woodworking activity. By 1983, there were Guilds in Christchurch, Taranaki, Auckland and Nelson; exhibitions in major galleries in major centres; a woodworking presence in the CCNZ Executive and events; and overseas visitors. The evident energy inspired a Christchurch woodturner, Noeline Brokenshire, to inaugurate a woodworking magazine in November 1983. Touch Wood published articles that included Guild news, maker profiles, exhibition reviews, technical know-how, timber resources and advertising. Brokenshire’s editorials consistently advocated for design, professionalism and a national organisation for woodworkers. The latter happened three years after Touch Wood’s first issue. In July 1986, more than 25 men and women gathered in Wellington. The group’s objective was to provide “a leading edge to continuing development of a high quality and innovative furniture identity.” Instigated by Colin Slade, John Shaw and Humphrey Ikin, the Association of Designers & Furniture Makers New Zealand (later known as The Furniture Group) required submission of slides and a curriculum vita for membership. Its aims were promotion of handmade furniture and its standards of construction and finish, sharing of expertise with each other and the public, education, advocacy, exhibitions, communication nationally and internationally, and encouragement of New Zealand resource management that included timber suitable for furniture. 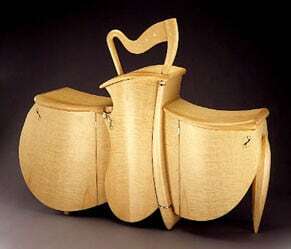 The stature of crafted furniture was evident in exhibitions. 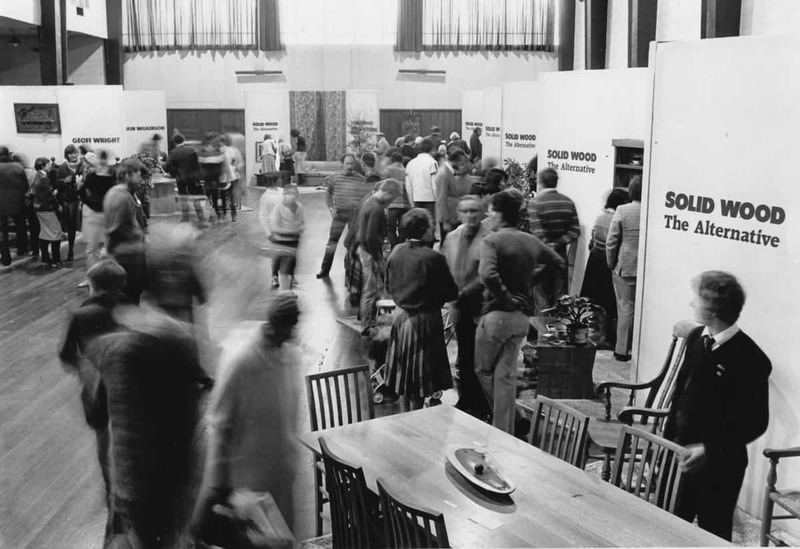 The Guilds held local and regional shows and the first major exhibition was Solid Wood: The Alternative in Christchurch, 1982. Nine practitioners contributed $500 each to display their wares at a venue nearby the annual Canterbury Furniture Manufacturers Federation exhibition. The men and two interior designers, who helped with layout and decor, wanted to influence public opinion about handcrafted furniture. 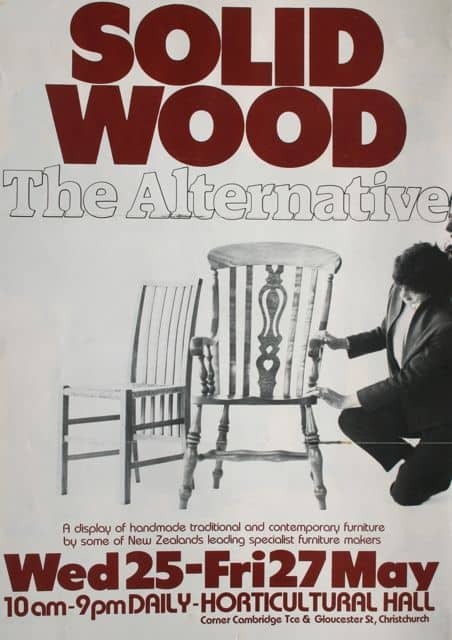 The Alternative Furniture Show (AFS), as it was subsequently called, was staged each year until 1993. Makers lined up to take part and their displays resulted in substantial orders. Whereas the AFS comprised timber furniture of traditional construction, a group of designers in Auckland established Artiture in 1987. This display featured a variety of materials and aesthetics in one-off pieces that were prototypes for manufacture. 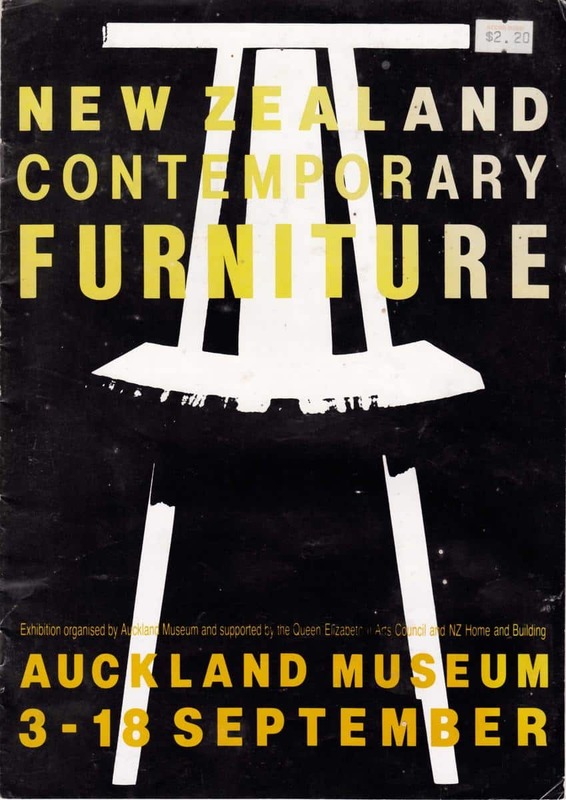 The most controversial exhibition, the New Zealand Contemporary Furniture Exhibition, took place at the Auckland Museum in September 1988. Seventy-five entries were shipped but only twenty-four met the criteria of the judge, George Ingham, from the Canberra School of Art. Ingham’s exclusion of works by prominent designers and makers sent shock waves through the community and prompted a hastily assembled Salon de Refusés. The Museum exhibition was an indication that furniture had “arrived” while the brouhaha brought priceless media attention. As a teacher of industrial design at Victoria University of Wellington, Miller represented educational change. Until 1989 polytechnics were overseen by a Department of Education that attempted to provide similar opportunities to all New Zealanders. With the Education Act 1989, polytechnics were given free rein in delivery of curricula. For a variety of reasons – increased revenue from a broader arts offering, lack of craft teachers, the expense of craft programs – many shifted to a visual arts focus. Institutions with furniture-making instruction abandoned these courses and absorbed the facilities into sculpture departments (NMIT’s program was terminated in 2001). Students could still specialise in furniture under visual arts, but training towards craft expertise was not available. Industrial or product design was on offer with the aim being design for industry. The disappearance of national advocates for craft education and government’s emphasis on design for export resulted in studio furniture-makers now being isolated entities known locally and regionally. Concurrent with gathering material about the history of craft and studio furniture, I emailed, had a conversation with and/or interviewed over fifty furniture-makers. 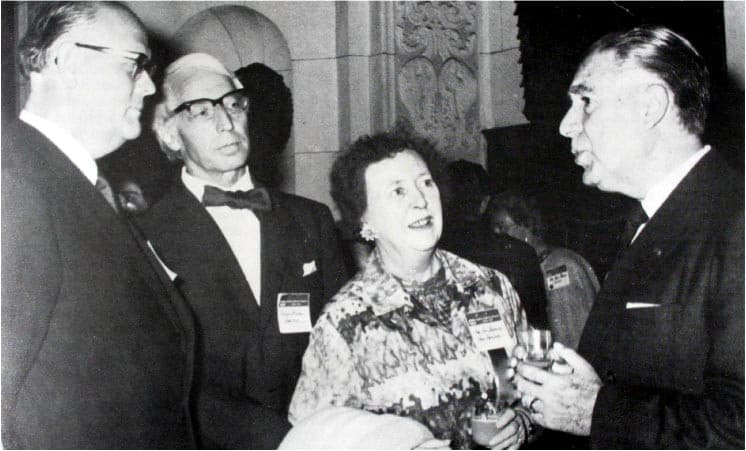 Taped interviews were conducted with six practitioners – Greg Bloomfield, Humphrey Ikin, Wendy Neale, John Shaw, Colin Slade, and Carin Wilson – who formed the core of my PhD thesis. They were chosen because each represented a different aspect of the profession. Information from the entire roster of makers enabled me to determine the relevance of Cooke’s definition to the nation. The majority of traits evident in the United States apply in New Zealand: highly skilled makers; one-of-a-kind production; small shops; consumption of woodworking books and magazines; workshop attendance; networking with other makers; and sales via galleries, exhibitions, and commissions. The difference lies in American makers having a college education and conceptual attitudes towards design, construction and materials. In New Zealand, tertiary training is rare. Skills are learned via formal or informal apprenticeships but most practitioners are self-taught, inspired initially by a workshop or using workshops to enhance knowledge and technique. The result is that conceptual furniture appears infrequently. Greg Bloomfield is an exception. He was born in New Zealand but adopted studio furniture as a career in the United States, learning with Garry Knox Bennett and Wendell Castle, both conceptual makers. New Zealanders are participants in and knowledgeable of art precedents and popular culture, yet there is little evidence of “a high degree of visual literacy.” Educational exposure to art sources and materials has not occurred, so that incorporation of such references is not within the comfort zone of most practitioners. Experimentation with new materials, which often happens in an educational context, is not financially viable for the isolated practitioner. Makers are more likely to become expert in the characteristics of and appropriate techniques for a limited palette of materials – readily available wood species and orthodox metals. In summary, with the exception of education, Cooke’s definition of studio furniture applies in New Zealand. Over the twenty-year period from 1979 to 2008 the context for furniture in New Zealand underwent significant change: import restrictions were lifted, state industries were privatised, the education system was restructured, the global economy became predominant, and the ubiquity of computers affected all aspects of society. Concurrently, the national crafts organisation rose and fell, and the studio furniture association lost momentum and disappeared. 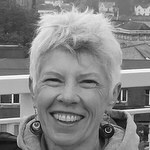 In 1998, Andrea Daly, one of New Zealand’s few craft scholars, asserted that it was only with acknowledgement of its craft history and theory that New Zealand could envisage and establish a future for craft. Now that the history of the Crafts Council and studio furniture have been written, perhaps a second wave of makers can better imagine a future in New Zealand Aotearoa. “List of Members June 1971.” WCC Newsletter July 1971, supp. : 1-8. Your comment on “… yet there is little evidence of “a high degree of visual literacy.” particularly caught my eye as it encapsulates for me one of the conundrums of our time. With the ubiquity of digital devices one could be given to conclude that visual literacy would be high, that regular exposure to images etc would enhance this skill. Yet over the span of my time as an educator and artisan (40 odd years) it seems to me that this skill is not growing at all but diminishing. Thank you D for posing the questions inherent in this article.